July 24, 2017 — Organizations of all types live through cycles and changes. The longer they’ve been around, the more times an organization has likely morphed from one way of existing to the next. In Berks County, very few organizations have existed longer than First United Church of Christ in Reading. The congregation was originally organized in 1752 as the “Religious Society of Dutch Reformed Calvinists.” As times changed and denominations evolved, the church went through six name changes. The original log cabin that served as the first place of worship for the First United Church of Christ, Reading. Its original log cabin building was replaced with the basic start of the current structure in 1832. Through the years, the building was renovated and expanded (electricity was added in 1909). The interior of the church as it appeared in 1909 when electric lighting as added. And over time, the congregation changed as well. In 2016, the congregation’s leadership recognized that it was time for the church to change again. Dwindling attendance made the continued use of the 500-seat sanctuary unsustainable. So, after a very thoughtful (and surely very difficult) process, First United Church of Christ decided that it would, once again, change its form in pretty significant ways. First, it would transfer its building to Reading City Church, a rapidly growing congregation. Reading City Church will use and maintain the building, which includes the largest musical instrument in Berks County. That action ensures that the church building, one of the grandest pieces of architecture in our community, will continue to serve our community as it has for almost three centuries. The second decision had to do with its endowment. Over the years, the church had developed funds totaling more than $800,000. 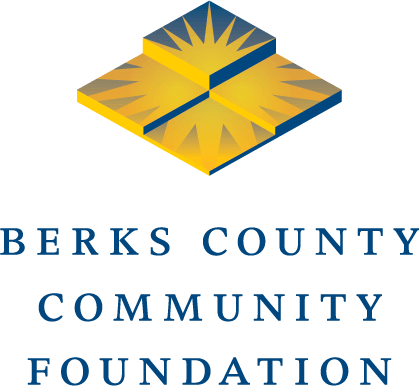 In May, the Berks County Orphan’s Court approved a request by First UCC to transfer that endowment to Berks County Community Foundation. Working with members of the church, we’ll be developing a plan to make charitable distributions in perpetuity to continue the mission and ministry of First UCC. We’re proud to have been chosen by First UCC and the court to help the church change, once again, in how it serves the community.